Canyon Lake Truck Accident Personal Injury & Wrongful Death Lawyers! Trust Our 40 Years of Experience in Handling Personal Injury and Wrongful Death Claims in Riverside! 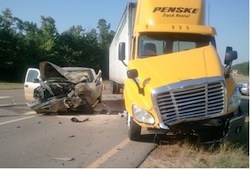 Truck accidents cause devastating injuries and sometimes even deaths. We are very experienced and reliable personal injury lawyers who offer expert truck accident injury claims related legal assistance. 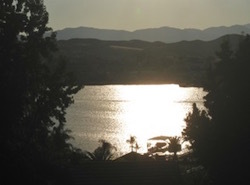 So, if you were injured in truck, car, motorcycle or any other accident, or need assistance in a wrongful death claim of loved one who was killed in a fatal truck accident in Canyon Lake, Riverside County or anywhere in California, you have come to the right place. contact us now for a completely FREE & CONFIDENTIAL CONSULTATION. Click here to reach us now for a truck accident case or wrongful death case consultation or call us now at 818-222-3400 or 1.866 INJURY 2 to discuss your particular accident case for direct and personal help! If you need a consultation it is FREE & CONFIDENTIAL. All you need do is call us at 818-222-3400 or 1.866 INJURY 2 (after hours dial 1) or simply click here for our 24/7 FREE consult intake. In fact, if you have lost a loved one in a tragic accident involving a truck, car or any other accident because of the negligence of another driver, please contact us for assistance in wrongful death claims. Find more information on our Truck Accident Website for general information on how to deal with the situation when you or a loved one is involved in a truck collision or car crash in Canyon Lake, Riverside County or anywhere else in California. 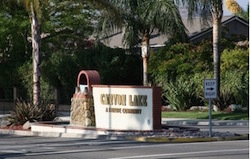 Canyon Lake is a prosperous gated community situated in Riverside County, California, with a population of 10,561, according to the U.S. 2010 Census.The lake was originally formed in 1927 after Railroad Canyon Dam was built. The lake covers 383 acres and has 14.9 miles of shoreline. 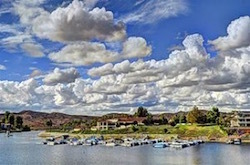 The “City of Canyon Lake” was incorporated on December 1, 1990. While trucks are large and heavy, in a majority of truck accident cases, the primary cause is driver’s negligence. However, other factors involved may contribute to a fatal truck accident. Heavy trucks, traveling fast, are much harder to stop and require larger space cushions. Trucks also require special maintenance, especially of their brakes and tires. Further, some trucking companies offer incentives to faster routes sometimes resulting in drivers pushing themselves causing driver fatigue. An injured party may not be aware of such and many other facts that can make their case stronger. Our experienced truck accident personal injury lawyers offer successful handling of your truck accident personal injury claims and wrongful death claims in Canyon Lake, Riverside County in California. 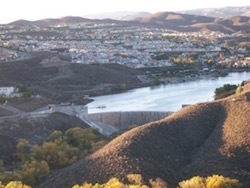 We Provide an Absolutely Free Case Evaluation and Confidential Case Consultation for Accidents in Canyon Lake, Riverside and California! To contact our experienced personal injury lawyers, please call on our toll-free number 866 Injury 2 or 866-465-8792 (after hours please press 1) or 818-222-3400 (again after hours please press 1). For our quick and easy consultation, click here to contact us 24/7 and tell us about your truck accident, car accident or any other personal injury case.